"Gold Rush reads a little like a Nipponized version of Bret Easton Ellis cause macabre American Psycho, with a healthy cut of Murakami sprinkled in. Bracingly and clinically realist." "One thing Miss Yu can do is write. She is simultaneously a social outcast and a literary star, a dark, brooding presence on the bookshelves. A creative genius." "A passionate accuse against society where parenting has been virtually abandoned, money triumphs all and any sense of human possibility is stunted by a self-fulfilling despair." "Dostoevsky's Crime and Punishment echoes throughout Yu's shocking, literarily distinguished novel, although salvation for Kazuki seems far more tentative than it did for Raskonikov. This is a harrowing and unforgettable reading experience." "A captivating analysis of a psychological meltdown. U.S. debut represents a new choice for American readers who enjoy Japanese fiction." "Miri Yu has succeeded in revealing the intensity of desire and pain superficially placid Japan in a richly authentic voice. Gold Rush expands the range of Japanese literature available in English translation." 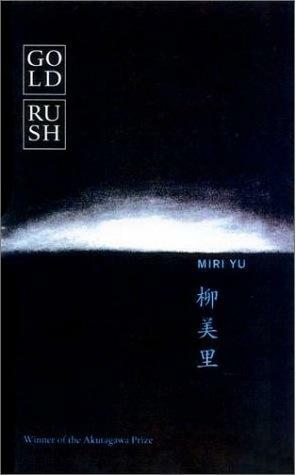 Miri Yu is one of Japan's most critically acclaimed and best-selling writers. She has published numerous short stories, plays, screenplays and essays as well as novels. She earned the Akutagawa Prize, Japan's top literary honor, in 1997 for her short story A Family Move.